Search the below to find the newest Kessler Park homes for sale & real estate listings. To change how the search is displayed, click the gray button next to "Sort Listings By." Using the gray button below, you can sort homes by prices or days on market. For information about Kessler Park neighborhood properties for sale in Dallas, Texas, or to schedule a showing, click "Request a Showing" when viewing any listing in Kessler Park Dallas. You can also create and save a custom home search by clicking the "Save this Search" button and register for a free account. A custom search will allow you to receive email alerts when new Kessler Park real estate listings hit the market. Click Here to Sell Your House for more money. 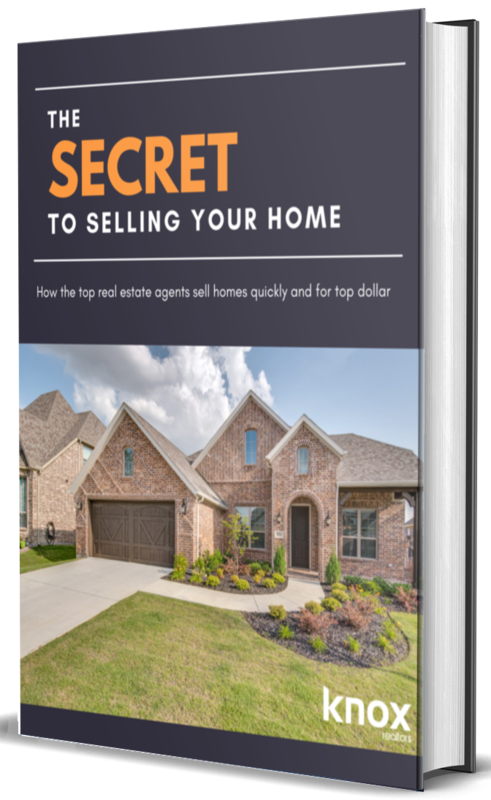 Learn the marketing secret that only 1 in 100 REALTORS knows! KnoxRE.com is updated every 15 minutes by a direct feed from the local Dallas-Fort Worth MLS which will give a visitor desired information for real estate in Kessler Park like property images; days on market; subdivision information; feeder school information; HOA dues; frequency of the HOA dues; estimated county taxes and more. If you see a property displayed, it means the home is still available for purchase. Our site only displays currently active houses for sale in Kessler Park. If a listing goes under contract, it is removed from the listing display for ease of use and navigation for visitors. To view more homes for sale near Kessler Park, see the alphabetical list of popular areas and searches below. Click on any of the listed areas below to visit that neighborhood's page. If you would like to view all real estate listings, click on the links at the top of the page in the main navigation bar. The Kessler Park Dallas neighborhood and its homes for sale are often called the "Hidden Jewel." Kessler Park is located in the 75208 zip code of Dallas. The area of Kessler Park Dallas is defined as south of Interstate 30, north of West Davis Street, east of North Hampton and west of North Zang Boulevard. The proximity of the area gives residents excellent access to Downtown Dallas, Stevens Park, Bishop Arts District, Lakewood, Oak Cliff, State Thomas, Uptown, Oak Lawn, and Winnetka Heights. The houses in Kessler Park are zoned to the Dallas ISD with children in the neighborhood attending the local DISD schools of Rosemont Elementary School, Greiner Middle School, and Sunset High School. Kessler Park real estate built in the 1950s will feature ranch style and mid-century modern properties. A buyer can even find new construction in contemporary and modern homes in the area. But a majority of buyers looking at properties in Kessler Park want an older area of Dallas with historical roots dating back to the beginning of the City of Dallas, properties with architectural significance and beautiful, old established landscape. Shoppers wanting specific architecture in their homes like Craftsman style, Tudor style, luxury, and even modern and contemporary houses turn to the Kessler Park area of Dallas where they can shop for any specific home style they desire. The homes for sale in Kessler Park are set in the rolling hills of south Dallas. Buyers may find traditional Craftsman and Tudor styles (as mentioned above) as far back as the early 1900s to unique new construction properties of contemporary styling. The neighborhood of Kessler Park includes easy access to the budding Trinity River projects as well as excellent golf found at the neighborhood's Stevens Park Golf Course. The area is one of Dallas' oldest, but the houses in Kessler Park are maintained with care and love. Each home was constructed in different time periods and decades, but all have their unique design aspect. Some of the houses in Kessler Park were initially built around the 1920s, and the architectures are the era-popular Craftsman and Tudor design. The modern construction has become very popular in the neighborhood, and custom home builders are constructing contemporary homes at a rapid speed. These new modern homes in Kessler Park are custom builds which keep true to the unique and individual architecture of the houses in the area. So what kind of look will these newer homes feature? These properties have a significant emphasis on using green materials like stone and wood. Many of these new homes will be found explicitly in the Kessler Woods section of Kessler Park. Newer construction properties in Dallas' Kessler Park tend to price around, or above, $1,000,000. Considering looking homes, or selling a house in the Kessler Park area of Dallas? Knox & Associates real estate agents are Kessler Park neighborhood experts, and we’d love to help! Our direct phone number is 972-342-0000. Or you may contact us via the contact form here. If you are looking at real estate for sale, contact us to schedule showings of the properties that catch your attention. For sellers, our Kessler Park REALTORS® will schedule a convenient time to meet for a consultation; create a custom, full-market analysis of your house; and formulate a fair-market opinion as to the best asking price for your home. We can provide up-to-the-minute Kessler Park Dallas real estate statistics: current average asking prices on the homes for sale; the sales' history of currently sold houses in the Kessler Park neighborhood; and information about broader market trends so that you can make a well-informed decision. Knox & Associates' REALTORS® in Kessler Park are full-time, trusted, professional real estate agents. This means you will be teaming with a dedicated expert whose goal is to negotiate the quickest home sale possible with the highest net return to the client.